I suppose mine is Niche since it's about writing, but even then, that's a pretty broad topic. I created two new blogs blogs for the same reasons. My personal blog is kind of mix and match, but poetry and travel is niche. Oh yes, there is, Vinay! So many online and offline blogging workshops. Pro-blogging workshops are separate. Patricia, that's a good niche. Writing tips, link-ups and prompts, as well as author interviews, it's a good bag. Anything narrower than this would make it very difficult to update the blog regularly, don't you think? Hi Raji! Travel could be a good niche for monetizing the blog. Have you tried it yet? I dont know if I fall into the niche blogger category...but if had to really categorise I think I can slot my writing into fiction writing ( and non fiction and poetry...) hehehe no imnt a niche blogger!! so basically it all depends whether you want a vertical growth or horizontal in blogging! Nice article .. would have liked more if you would have suggested more strategies for becoming successful in niche blogging. Princess, you fall into the creative writing niche, I guess. 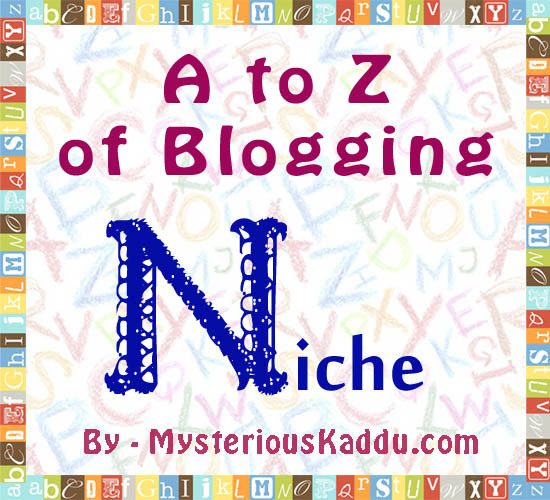 Plus, you have other blogs for other niches as well. I would say you are a niche blogger. Jaideep, vertical is good. It is faster too. Horizontal is hardly there. And not very sustainable either. pkdeka, thanks for the suggestion. Maybe in some future article? Relationships is a difficult niche? I thought it would be one of the easiest niches to create regular content on! Practically 3/4th of the world is in some kind of relationship mess or the other! is it not a misconception that horizontal is difficult to achieve and removes the "Niche" tag? I'm afraid I don't understand the relevance of your comment here, Jaideep. As far as I'm aware, 'horizontal' is all about sharing of ideas and building a community around a blog. It may be difficult to achieve, yes, but why would it have to remove the "Niche" tag, as you say? I see some great communities around niche blogs. Besides, this post was about single-topic blogs and diverse blogs. It was not about horizontal and vertical blogging.